Mark folder icons to indicate a priority level, work status etc. Folder Marker Home 4.3 was available as a giveaway on December 6, 2017! A handy shell extension that enables you to mark folder icons to indicate a priority level (high, low, normal), level of project completeness (done, half-done, planned), work status (approved, rejected, pending), and type of information stored within (work, important, temp and private files). Simply right-click on any folder and select the icon or color to be used from the newly added menu option. The perfect download if you need a little extra boost getting your files in order. Try it now! See 1.5 min video presentation of Folder Marker. Two sets of additional icons for Folder Marker with 50% discount. One day only! Click this link and buy Everyday Folder Icons and Extra Folder Icon for half price. How would you improve Folder Marker Home 4.3? 60+ additional Vista folder icons for Folder Marker Pro. The best choice anywhere on the Web. Use them to customize your folders. Each icon is designed to look impeccable in all sizes. A must-have! Click this link and buy icons with 50% discount. Today only! Extra Folder Icons is a set of 45 professionally drawn Windows 7 folder icons with great design and scrupulous attention to detail. Covering many objects and activity types, these folder icons address the needs and interests of a broad range of people, from youngsters interested in cars and music to senior users looking for a way to mark folders containing health and TV-related information. Click this link and buy icons with 50% discount. Today only! FileMarker.NET is a tool similar to Folder Marker, but it works with files. It allows users to color-code files in Windows like in Mac and considerably simplify file management with the help of additional icons to display status, priority, completeness and type of data in a file. Find files faster, separate your files from your co-workers' files, show document progress right on the file icon, set clearly visible priorities - it's all possible with FileMarker.NET with just 2 mouse clicks! Need an icon designer? Get your icon design at IconDesignLAB.com! We have been creating custom icon designs since 2005. We specialize in working with IT companies, we have extensive experience and talent, and we finish our work on time. I wish I had come back and read the comments! Glad some of you got it to go. I downloaded it the same time most of you did, had the same problems, and gave up. I wasn't sure any of this was real after that. Happy for all of you. Wish it had worked back then like it should have. I have a special needs child that would have mapped out an approved path to things he likes to do on the computer and he could have used colors and the letter of his name to help him find things. Sorry guys, but I am afraid the code does not appear to work. After applying it, restarting (and as advised, ignoring the message that it is the code for an old version and will not work with the latest version), it still says (in red): "This is ONLY PART of the icons set. Full icon pack contains 60+ icons. Click here and buy FULL version right now!" This does not sound like a fully licensed version to me. Does it to you? Sorry guys, but I am afraid the code does not appear to work. After applying it, restarting (and as advised, ignoring the message that it is the code for an old version and will not work with the latest version), it still says (in red): "This is ONLY PART of the icons set. Full icon pack contains 60+ icons. Click here and buy FULL version right now!" This does not sound like a fully licensed version to me. Does it to you? Having the same issue "Sorry, this giveaway is over." Tried several times over the last 12 hours and still no joy. Has anyone had any feedback from the developer yet? Having the same issue "Sorry, this giveaway is over." Tried several times over the last 12 hours and still no joy. Has anyone had any feedback from the developer yet? Marian Clarke, due to a time zone difference, the giveaway was deactivated earlier. Our fault, sorry. We have activated the http://foldermarker.com/en/gaotd/ for one day more, so please visit it now and get your license. Sorry for the inconvenience. Same problem as a lot of other people. I am still at the 3-hour point on the timer but the Folder Marker page says the offer is over. I assume that you are going to do something about this! craig, due to a time zone difference, the giveaway was deactivated earlier. Our fault, sorry. We have activated the http://foldermarker.com/en/gaotd/ for one day more, so please visit it now and get your license. Sorry for the inconvenience. Roman, Thanks for the speedy reply and for having solved the problem. I got the registration key and activated the programme. "Sorry, this giveaway is over." 3.5 hours left, after trying to get the code: "Sorry, this giveaway is over." GOTD? "Sorry, this giveaway is over. But you can download free verion of Folder Marker or buy Pro here." According to the ticker there is still almost 5 hours left. Hello. I just downloaded Folder Marker Home 4.3 and followed the instructions but when I go to the page to register it says: "Sorry, this giveaway is over. But you can download free verion of Folder Marker or buy Pro here." According to the ticker there is still almost 5 hours left. Amanda Lancaster, due to a time zone difference, the giveaway was deactivated earlier. Our fault, sorry. We have activated the http://foldermarker.com/en/gaotd/ for one day more, so please visit it now and get your license. Sorry for the inconvenience. After installing this program you are redirected here: http://links.giveawayoftheday.com/foldermarker.com/en%2Fgaotd%2F And this is what is says 6 hours before this offer ends... Sorry, this giveaway is over. I downloaded and, as per instructions in the "Read Me" file, went to http://foldermarker.com/en/gaotd/ that displayed a page that informed me that the offer is no longer valid. " Folder Marker Home Giveaway: Sorry, this giveaway is over. 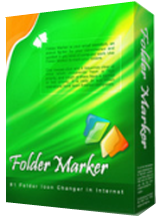 But you can download free verion of Folder Marker or buy Pro here." due to a time zone difference, the giveaway was deactivated earlier. Our fault, sorry. We have activated the http://foldermarker.com/en/gaotd/ for one day more, so please visit it now and get your license. Sorry for the inconvenience. Just downloaded the giveaway; I've got over 7 hours to install it according to this page. I go to the website to fill in the form to activate it and it says "Sorry, this giveaway is over." So I can't activate it despite having hours left to install it. Just downloaded the giveaway; I've got over 7 hours to install it according to this page. I go to the website to fill in the form to activate it and it says "Sorry, this giveaway is over." So I can't activate it despite having hours left to install it. bigteapot, due to a time zone difference, the giveaway was deactivated earlier. Our fault, sorry. We have activated the http://foldermarker.com/en/gaotd/ for one day more, so please visit it now and get your license. Sorry for the inconvenience. Every time I try I get a message that the giveaway is over. xcartster2011, due to a time zone difference, the giveaway was deactivated earlier. Our fault, sorry. We have activated the http://foldermarker.com/en/gaotd/ for one day more, so please visit it now and get your license. Sorry for the inconvenience. I get the same error when pasting in the activation code stating the code I was sent is for an old version of the program and will not work with the GOTD downloaded version. So far, the program is unusable. I downloaded and went to http://foldermarker.com/en/gaotd/ To activate your free copy visit: gave email and have not received the registration code also checked spam folder what to do? Downloaded installed, obtained license code (including jumping through hoops to create a facebook account) exactly as instructed. NOTE: Your key looks like a key for the old version of Folder Marker(v 2.x or v 3.x). If it is so, it will not work with current version. Please buy the upgrade. Bit of a con (still showing as 11:38:36 still remaining till expiry of offer). Sorry should read, huge con. Not impressed Downloaded installed, obtained license code (including jumping through hoops to create a facebook account) exactly as instructed. Entered code and got: NOTE: Your key looks like a key for the old version of Folder Marker(v 2.x or v 3.x). If it is so, it will not work with current version. Please buy the upgrade. As the giveawayoftheday CLEARLY states it for v 4.3 (including Comments on Folder Marker Home 4.3 from this input area), it is obviously NOT FREE Bit of a con (still showing as 11:38:36 still remaining till expiry of offer). Sorry should read, huge con. Dave, ignore this notification. The key works anyway with the last version of the software. I know this is a bit late, but I have the same problem as Dave and no, the key I got does not work with this version either. After getting the same message upon inputting the key (including "If your key is orrect all limitations will be removed), restarting indicates I'm still using a trial version (now with only 14 days left). Yes, I'm cutting and pasting properly and there are no trailing blank spaces. Get together with Mozilla Firefox so that your program with also work on the folders in the Bookmarks. How will automatic -backups to "a" Cloud- deal with the icons ? Will they get confused ? Will they take over the icons ? What if I want to restore an earlier backup, after I used FolderMarker ? Looks very interesting BUT ... How will automatic -backups to "a" Cloud- deal with the icons ? Will they get confused ? Will they take over the icons ? What if I want to restore an earlier backup, after I used FolderMarker ? PaulVdB, the folder icons instructions are stored in hidden system files desktop.ini in the folders with modified icons, as long as the icon files themselves remain accessible in the original locations the backed up desktop.ini files will still point to the custom icons when restored to any given folder, including a different folder! The program is an enhanced user interface on a standard windows feature. John, in the past with GAOTD offers, this kind of problem was related to the active presence of an anti-virus (especially Kaspersky) or similar blocking software. If redownloading makes no difference then the problem is not a corrupted file, you can try deactivating any such software before installing. Hope this helps.